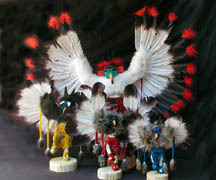 Native American Items and more ! 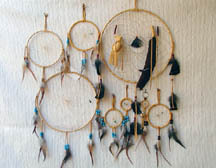 Dream Catchers, Indian Artifacts, Peace Shields, Trail Markers, Kachina Dolls etc. 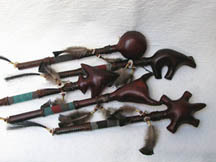 The Native Americans, Like All Tribal Cultures , Never Had a Written Music Language. They Developed Instruments That Where Naturally Harmonic. No Musical Background is Necessary to Play Our Flutes.